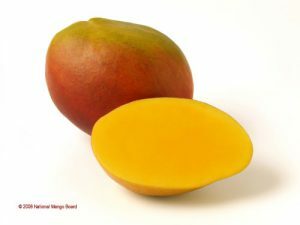 Tommy Atkins mango is grown in the US, Mexico, Brazil, Ecuador and Peru. It is indeed a testament to its popularity that it is not only grown at a number of places, it is also available all year round. It is said to have been developed in Florida in the 1920’s. It is mildly sweet with Golden to greenish skin with crimson blush and has a firm, fairly fibrous texture. It is also a large mango, with oval or oblong shape. This mango is available all year round.